Why Should You Hire Eiges & Orgel, PLLC? 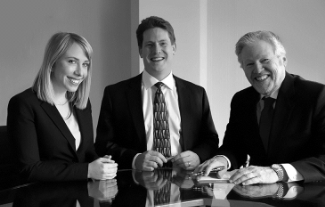 At Eiges & Orgel, PLLC, we know that nothing is more important than your family. That's why our firm is wholly committed to matrimonial and family law in New York. We've helped thousands of clients get the optimal divorce, child custody, and family law settlements that they need. We are proud to say that we offer responsive, high-quality representation for each and every case we take on. Now, it's our turn to help you. Call now to schedule your initial consultation. Whether you're dealing with a contested divorce, a child relocation battle, or other legal issue related to your marriage and family, our attorneys are here to get the results you deserve. When you hire us, more than 40 years of experience will be put to work for your case. Our firm has successfully handled more than 3,000 divorces since its inception, and we have done so while providing personal care and legal attention that cannot be rivaled by any other. We are here for you. As you attempt to navigate your way through the complicated legal process of a divorce, legal separation, child custody agreement, or any other type of family law matter, you will be best served by having a legal professional on your side to advocate for your rights. There are a number of vital issues that need to be attended to when going through this process, and the best way to ensure that you meet these competently is with the help of an attorney from our firm. At every step of the way, Eiges & Orgel, PLLC will be here for you. Our clients can confidently rely on the accomplished recognition that we have been awarded by some of the most prestigious ranking systems in the nation, including being AV® peer rated by Martindale-Hubbell® and obtaining a ranking of excellence by Avvo. Our New York divorce lawyers have also been named to the prestigious Super Lawyers® list and are accredited by the Better Business Bureau. To take advantage of the services provided at Eiges & Orgel, PLLC, contact a New York City divorce lawyer from our firm. Call to arrange an over-the-phone consultation.